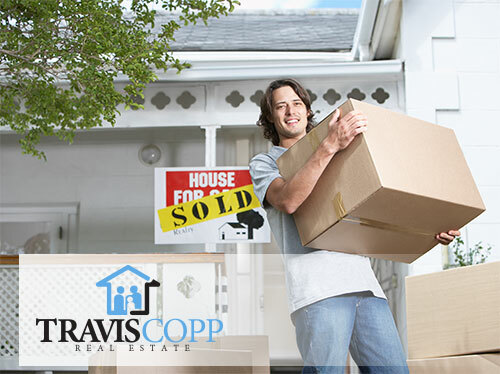 Home Selling Tips Facilitate A Smooth Transaction! Your home is most likely the most expensive investment you will ever make. Learn how to keep it in good condition and working in your financial favor. When you face the decision of whether or not to sell, you should read some Home Selling Tips and give the matter a lot of thought. The situational factors you face may determine why you are selling the home. You will use a different approach if you can do it leisurely. If you must sell fast, you will be open to lower offers. You never want to appear desperate. If asked, say your housing needs have changed. See what other homes are selling for. Compare the asking price of those that are similar in size and condition. If the home is in a subdivision where the majority of residences are built using similar floor plans your research is simplified. Look at recent sales in the area. In a neighborhood of dissimilar homes it is more difficult to compare. You can look through current sales and compare those properties to yours. If planning to sell without the assistance of a REALTOR®, proceed cautiously. Deciding your asking price will be your easiest task. Take note of the size. Consider the condition of the interior and exterior. If hoping for a fast sale, your asking price should not exceed those asked for other properties located nearby. An appraisal may be advantageous if it is an excellent one. It can enhance the homes appeal. Keep in mind you are paying for an honest evaluation, and may not like the results. 6. What Do Tax Assessments Really Mean? The amount charged for property tax is based on the citys assessment of your home. It is generally assessed higher than your asking price. Two-thirds of homeowners who sell on their own regret doing so. A REALTOR® is adept at setting an asking price, advertising, dealing with applicable laws and knowing how to judge potential buyers. There are legal requirements to divulge hidden flaws, comply with inspection rules and tax law. Without a REALTOR®, you will not have professional advice at your fingertips. Plus, you need to hire an attorney to verify the contract and attend the closing. Leave room to negotiate. Know the lowest price you will accept. This decision is dependent on how quickly you want or need to sell. Potential buyers respond psychologically to a home. The visual impression, the sound of barking dogs next door and smells, good or bad, all affect their first impression. A buyer will notice slightly shabby paint or a non-functioning dishwasher. These things indicate a lack of maintenance over the years. Your REALTOR® knows what factors should be improved before marketing. Clean everything thoroughly. Repair small defects. That little crack in the bathroom mirror may not seem important. However, someone may consider it a sign of overall neglect. Replace burned out light bulbs and dusty furnace filters. Make certain toilets flush and faucets do not drip. Paint in neutral colors. Clear away any clutter. Place a few lovely accents in each room. A vase of flowers or a shelf of hard-cover books will be impressive. The smell of smoke or the cats litter box must be removed. If you have a dog, it should be freshly bathed and very well-behaved. It is your legal responsibility to disclose certain defects. In most cases, the buyer will have a professional inspect the home before purchase. When you have more potential buyers interested in the property, each is more likely to meet your asking price. Act in a businesslike way towards potential buyers. Stay calm during negotiations. A buyer wants to negotiate the best price. If he needs to buy a house quickly, for any reason, that will give the seller an advantage in the negotiations. If you have a REALTOR®, he or she will verify this before showing the property. Someone who is not financially ready to give an adequate down payment, or qualify for a mortgage is wasting time. 19. When Does The Buyer Want To Close? If a buyer is anxious to close as quickly as possible, it will give you a bargaining advantage. When you are moving into a home you are still negotiating on, make certain it will be ready for you before you must vacate the home you are selling. Research indicates it is more difficult to market a vacant home. It gives the impression you were eager to leave. It also indicates you are eager to sell. Do not set a strict deadline to make the sale unless absolutely necessary. This will make the situation stressful. This is a business deal. Depending on circumstances, either you or the buyer has an advantage. Accept disappointment if it is only a matter of several thousand dollars. Respond to a low offer with a counteroffer. This keeps you in touch with that potential buyer. This is a matter between the buyer and the bank loan officer. Do not waste time with any potential buyer who is not pre-qualified for a mortgage. There are legalities that must be validated on the sales contract. The law varies from state to state. This is a situation where, if you do not use a REALTOR®, you need an attorney to verify every detail on the written contract. With a REALTOR®, they are responsible for these details that you are not familiar with. One example is if a buyer wants to move into the home before the closing. Let him know, in a congenial way, that it is not possible.